A team from the University of Turku has developed a mathematical model that predicts which patients become symptomatic after viral exposure using gene expression levels in blood prior to exposure. 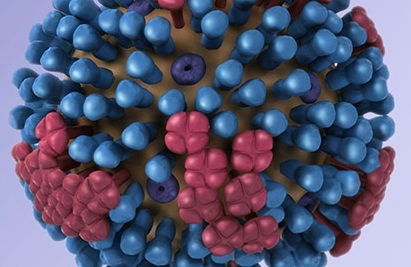 A 3D graphical representation of a generic influenza virion’s ultrastructure. Among the most common reasons in developed countries for seeking medical attention are acute respiratory viral infections, such as influenza and seasonal flu. However, response to viral infections varies considerably across population. Some individuals may show no major outward symptoms, while others express severe symptoms in response to the same virus. Symptomatic individuals will become a contagious source for spreading the virus, which is a critical health risk especially for individuals with suppressed or weak immune system. Identifying biological predictive factors for symptoms severity would have substantial implications to public health. To identify predictive markers of individuals susceptible to getting severe symptoms from acute respiratory viral infection, the Respiratory Viral DREAM Challenge was designed as a crowd-sourced effort to bring together a community of international researchers. In total, 39 teams and 435 individuals without team from all over the world, including Finland, United States, Japan and United Kingdom, participated in the intense competition for 10 months. The team from the University of Turku was the only top-performing team that achieved nominal significance in the Challenge. By this achievement the team demonstrated that predictive models of symptoms following viral exposure can be built using pre-exposure gene expression. After the competition, multiple teams joined forces to collaborate in the analysis of all the submitted models, their methodologies, and the selected biomarkers to find commonalities between them. Although there was little overlap between the genes selected in the different models, a key finding was their enrichment in the Heme metabolism pathway. The results led to an article in Nature Communications journal which was published on October 24th 2018. – Participating in such crowdsourced efforts, like the international DREAM Challenge competitions, provides an excellent opportunity for enthusiastic collaboration between top universities and researchers in the world. This project is a great example of how new knowledge can be gained from existing data and how open and freely accessible data can maximise its use for patient benefits. The ultimate beneficiary of such efforts is the society, says Research Director Laura Elo from Turku Centre for Biotechnology, leader of the top-performing University of Turku team in the Challenge. Advanced computational and mathematical methods together with increased computing capacity and increasing amounts of data are making rapid advancements in science and medicine possible. – We are now living in an era that big data from biological sources are being generated in an astronomical pace. 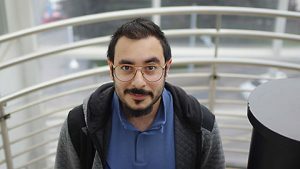 These can be analysed with the current computational capabilities and further utilised in personalised medicine, says Mehrad Mahmoudian, Doctoral Candidate from Turku Centre for Biotechnology, who worked as a key member of the team in the project.